What to do with sickening flower petals? This is my first flower garden and I don't know what to do about flower petals that are sick. I think the reason for them being sick is that this plant was not in the best shape when I bought it (it had stems that were cut with scissors) and also there was a big big rain yesterday and I think it had too much water. Not sure. Please let me know how to help the flower to become more healthy. Care advice at fine Gardening starts Deadhead spent flowers consistently. 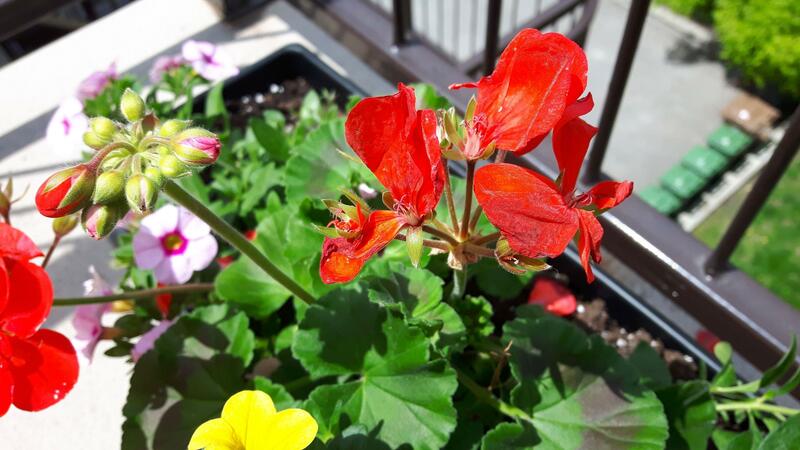 Pelargoniums flower prolifically and will soon replace any flowers that have been removed. The top geranium I'd leave go. The bottom one I would cut right back to the base. 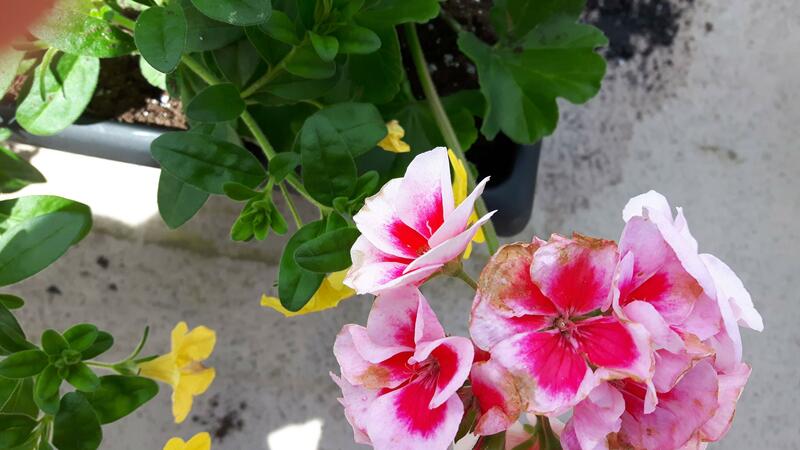 I used to take care of residents plants when I worked, they had tons of geraniums.I would just keep the spent flowers dead-headed, they'll recover nicely.You should see the pansies I got off the clearance rack a couple wks. ago, ugh. Now, vavoom! Not the answer you're looking for? Browse other questions tagged flowers leaves diseases container-gardening or ask your own question. What variety of clematis is this? Is my Marigold plant dying? Should I let Echinodorus Tenellus flower?